FRANCE 24 to launch on DD DIRECT + and DISH TV to 31 million additional households in India. 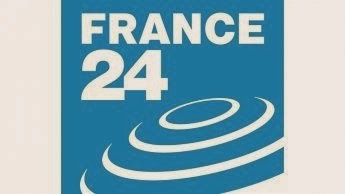 FRANCE 24 has concluded a new distribution agreement in India and will be available on free-to-air Direct-To-Home service (DTH) DD DIRECT +. Owned by public broadcaster Prasar Bharati, the platform will begin broadcasting FRANCE 24 English version on November 1st. Thanks to this agreement, FRANCE 24 will also be available on DISH TV basic offer, the n°1 private satellite operator in the country. Thanks to this new agreement, which represents the most important deployment for the channel on the Asian market, FRANCE 24 will now be available 24/7 to 31 million additional households across the country. These will be in addition to the 7 million households that already receive the channel via cable. One in every four Indian televised households can now access FRANCE 24 and a special operation will take place in New Delhi in November to mark this major agreement.